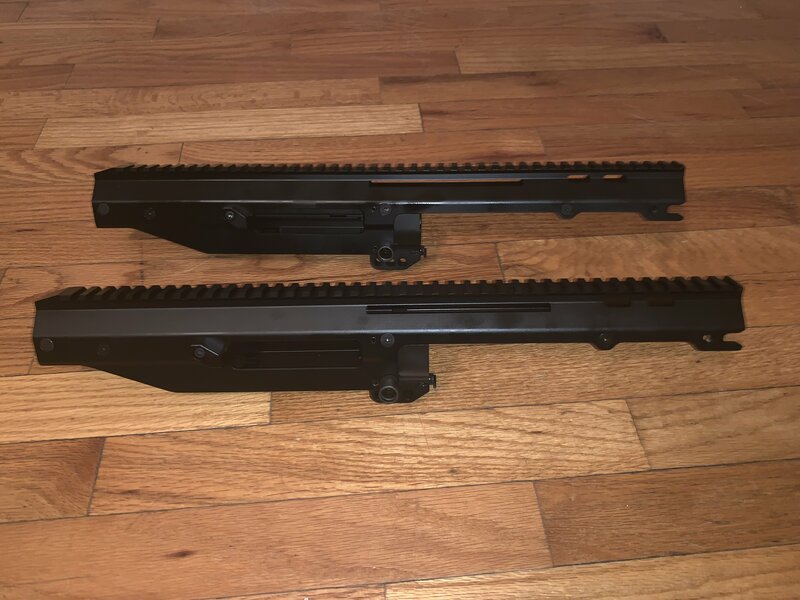 I found a small stash of brand new Alabama built Acr upper receivers for sale. There's not a whole bunch of these and they are selling pretty quick. The upper receiver is only available in Black right now but I'll see if I can find Tan ones. For an additional charge, I can cerakote them tan if you want one in coyote. The uppers are completely assembled. They do NOT include a charging handle assembly or bolt carrier assembly. It is just a upper receiver with the trunnion, carrier rails, brass deflector and bolts. Here's the best part. According to the sheet that came with the uppers, they are currently considered firearms, not rifles or pistols so you decide whether it will live its life as either a rifle or pistol. The price is 450 shipped to your FFL. If you would want this to have a new trunnion installed,I will give a slight discount. Last edited by bigdog2003_99; 02-08-2019 at 09:33 PM. with bushmaster always having “sales” on Masada parts you can piece one together for cheaper. how did ypu come about these? with bushmaster always having “sales” on Masada parts you can piece one together for cheaper. I don’t see how that’s possible. A firing pin in $100, their charging handle trays are several hundred, and so on. Can you educate me? I’m a dealer for Bushmaster. I also build acrs for a living too so I find parts along the way. You might be able to piece one together but the bolt and charging handle will hurt. The bolt carriers are 375 dollars. The assemblies are about 200. I'd like one of these. I'm trying to make sure I can get the rest of the parts I'd need. Will you also sell a bolt/bolt carrier assembly and the charging handle assembly? I'm not finding a place to get the charging handle. Thanks for listing these. It's an awesome option. I sell everything, carrier assemblies are 375 though. The charging handle assemblies are going to be out soon. I’d say early March to mid March I think they are about 200 I might do a deal to upgrade people to the new assemblies and get their old ones as a trade in. Does the carrier assembly come with the bolt and recoil spring assembly? *Edit* March isn't far at all. 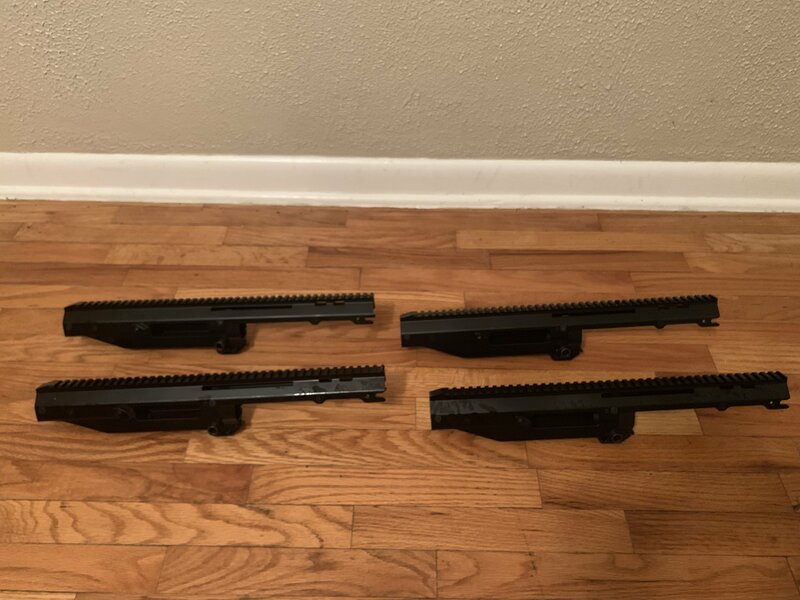 As long as I can get the complete carrier (bolt + recoil assembly + carrier) and the charging handle assembly through you, I'll take all that and a stripped upper. Please let me know. Thanks again! Last edited by jamesavery22; 02-12-2019 at 08:57 AM. The carrier assemblies are 100% complete. I can get them in small pieces too if you don’t need everything. I’m slowly getting the new assemblies but I’m needing them for projects. I.e. folding charging handles. I will be getting them as soon as they drop though. Also here’s the pic of what I’m shipping out tomorrow. If you can get your hands on a coyote one, I'll take it!